It used the older, blue, TFG map. Which shipped in SFB (Pocket and early run of Designer's), Battlewagon!, and SF 1E, as it was 5x8 folded in quarters. several 1E scenarios don't fit the later map correctly. Including several system setups in SF III. Oh interesting. I used to have one of those sky blue maps and I never realized they were different. Differently numbered? 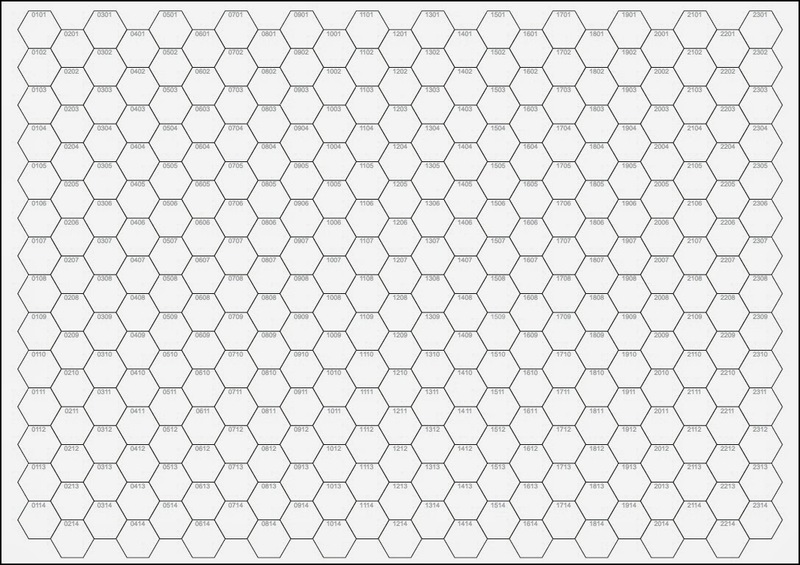 Or different size (number of hexes per side)? I've got 2 of the blue ones, and 1 4 part map currently. I also found an electronic downloadable map. 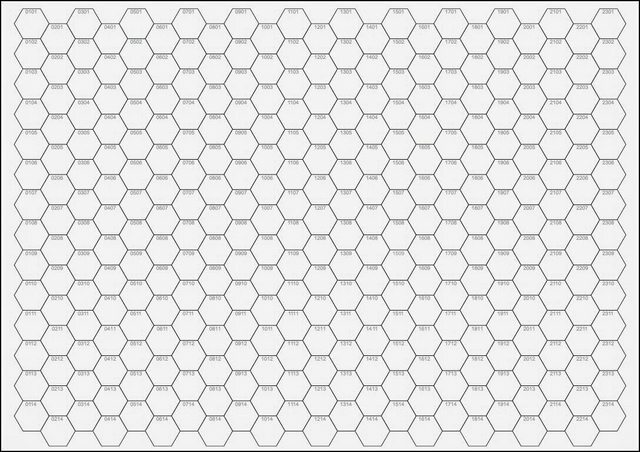 I just stumbled upon a numbered hex downloadable map, it is small, and would need to be modified some, but could something like that fit the bill? Here is the URL for that hex map with numbers. Not anywhere as good as the old 6 section black tactical maps from back in the day, but way better than nothing, lol. Numbered 0101 to 2214/2314, so we would need to print at least two of these to get a decent playable surface. In fact, it would be better to print out 4 of these maps, as that would give us a 46 X 28 playing surface. Cralis mentioned, that Crusade uses the big 4-part map. Can anyone give me the exact hex size of this map? Tesuji wrote: Cralis mentioned, that Crusade uses the big 4-part map. Can anyone give me the exact hex size of this map? All of the 3rd edition scenarios are based on the 4-part map, partially because it can be used for both the System Scale and the Tactical Scale. It has a 30-hex radius marker (60 hexes diameter) and goes for another couple of inches, so you're not far off. I've been using the miniatures for the last few games I've played so I don't have the map setup on my table (which has other stuff all over it right now anyway). If nobody else can beat me to it, I'll see if I can get that count for you this week. Back again after one nice holiday week. Cralis, did you already get the count of the 4-part map? No one around who can give me the dimension (in hexes) of the 4-part map? I gave the approximate... the center has a 60 tH diameter. There are probably 3-5 hexes outside of that. Oh and a center hex. So... approximately 70 hexes on the outside edge? I am asking, because Crusade in several scenarios gives the exact location of some fleet ships.